Cherries contain a good deal of antioxidants, specifically anthocyanins, which may help fight cancer. Did you know that eating 10-12 cherries a day may reduce your risk for developing gout by at least 35%? Gout is a type of arthritis that causes swelling, inflammation and tenderness in the joints and feet. 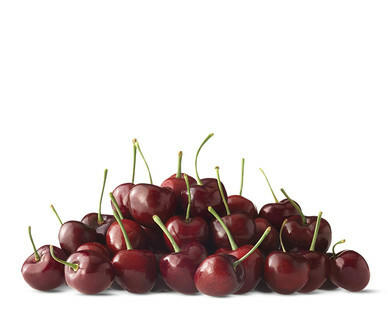 One cup of cherries has as much potassium as a small banana. Potassium consumption is crucial to keeping blood pressure under control and limiting the risk of high blood pressure. Cherries are free of fat, saturated fat, sodium and cholesterol. Select firm, red cherries with stem attached. Avoid soft, shriveled or blemished cherries.